The referee’s whistle blows; a huge roar erupts from the crowd, cries and cheers fill the air. You are far removed from the glamour and the action, here on your narrow turf by the sidelines – but your battle is no less intense, for the consequences of failure can be so much more severe. A few quick, well-practiced movements serve to securely fasten the bandages around your newest charge, just in time for another goal to be joined by a collective shout of triumph. Your own victory is much quieter; a quiet murmur of thanks, relief at a wound ably seen to, and satisfaction from a job well done. While First Aid skills are essential for treating everyday emergencies at home (treating a scald, for instance), they also have uses in school and for the larger community. Upon joining Red Cross Youth Chapter (RCYC), you will be provided with compulsory Standard First Aid (SFA) Training, hence employing you with skills which range from tending to common cuts and abrasions to cleaning and bandaging for burns and fractures, and even CPR for life-threatening emergencies. 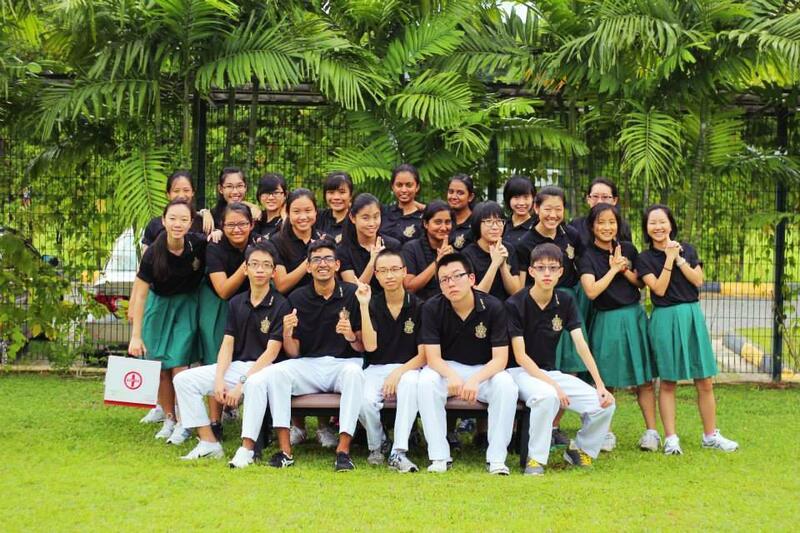 Members will then apply their skills by offering First Aid coverage to the school during events. There will also be HQ-level opportunities where members join experienced aiders on the lookout for the general public. 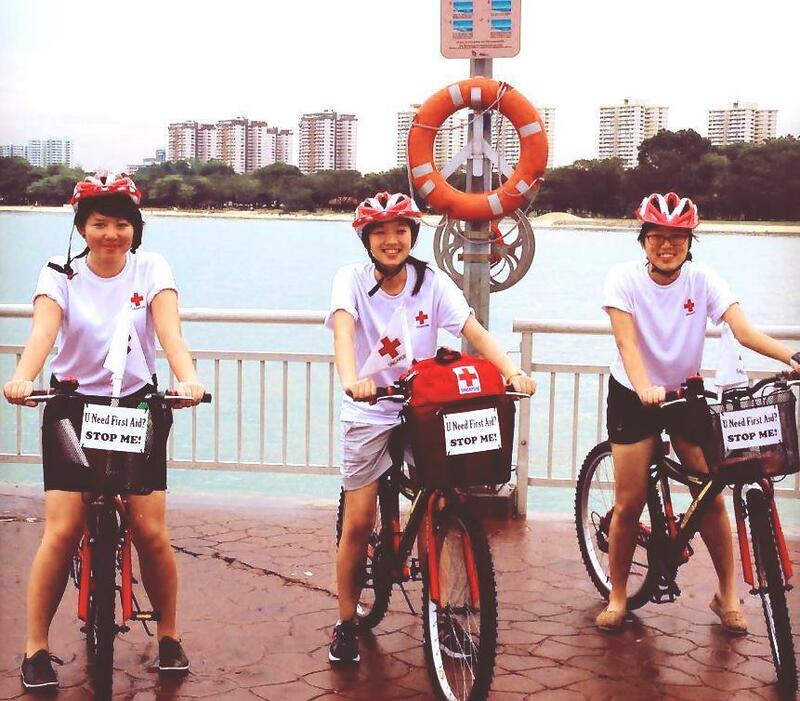 These include the monthly First Aid On Wheels (FAOW) at East Coast Park and national events such as the 2015 SEA Games. There is a saying that goes, ‘Kind words can be short and easy to speak, but their echoes are truly endless.’ Here at RCYC, we believe in the power of the human touch to put a smile on anybody’s face, and hence we place great focus on direct service to the community. All members volunteer at a Voluntary Welfare Organisation (VWO) of their choice on a weekly basis. At present, such VWOs include tutoring girls from underprivileged families at Good Shepherd Student Care (GSSC) and befriending elderly patients at Tan Tock Seng Hospital (TTSH), with plans to open more centres! In addition, further one-off opportunities are given for the entire batch to engage in direct service together. 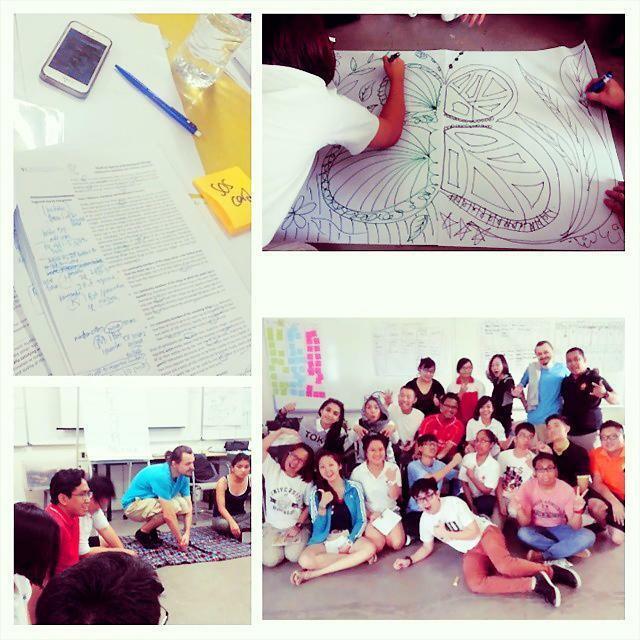 As an RCYC member, you can also expect exciting opportunities to participate in a wide array of events and programmes. These range from service-oriented activities (such as Overseas Humanitarian Programme) to ones unique to the International Red Cross Movement, which tackle issues like humanitarian diplomacy and disaster management. Open to all, members may sign up for these based on interest. 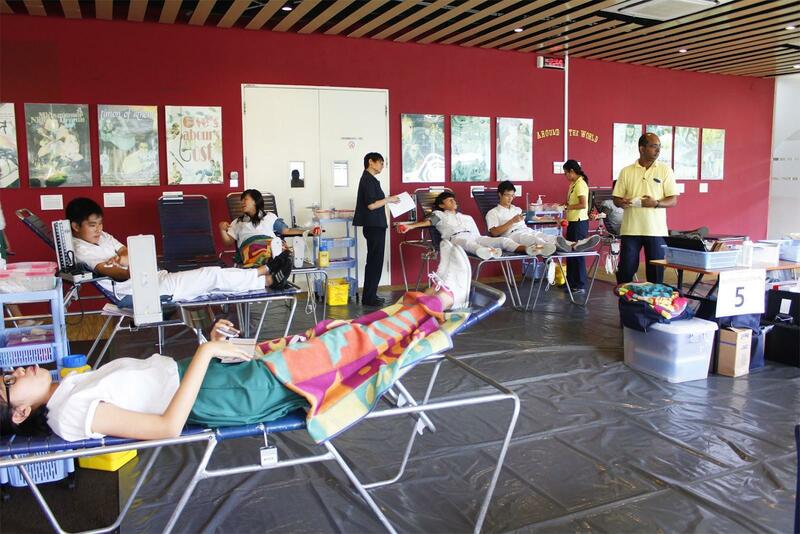 Our chapter also helms 2 school-wide events – the biannual Blood Donation Drive (there’s one coming up on 13 February!) as well as World Red Cross Day, which is a fundraising effort. There will be a simple interview for all who sign up with us. We have no prerequisites – what we’re looking for is a passion to serve, be it through community service, First Aid, or (even better) both! Commitment-wise, there is a general meeting every Wednesday, in addition to the list above, giving members ample free time and opportunities to plan for any other service project if they so choose. Sound like just your (blood) type of CCA? 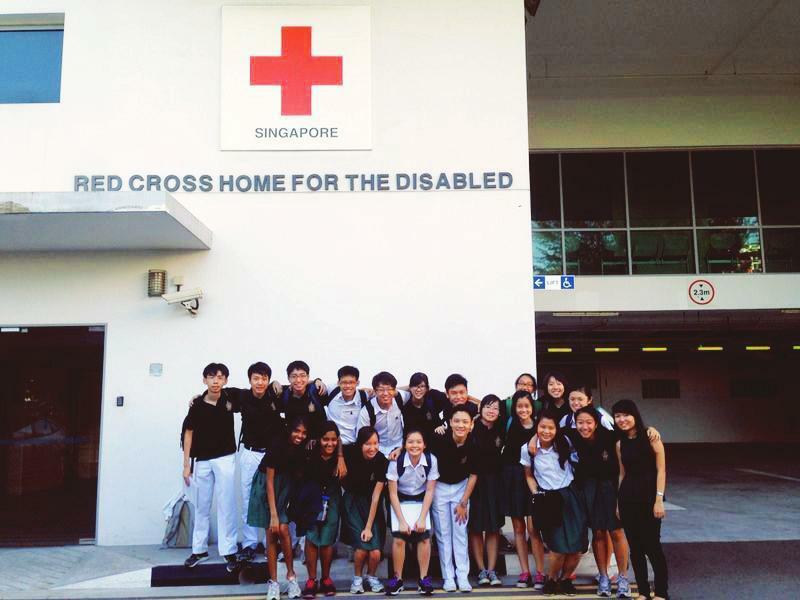 Then do join Raffles Red Cross Youth Chapter for A Positive-ly great time!